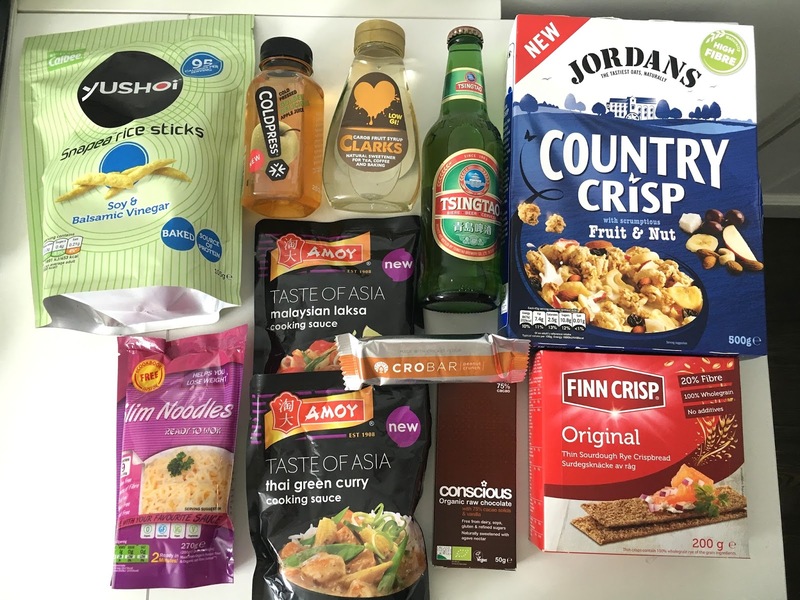 I'm jumping right in and sharing my favourites from the box first. 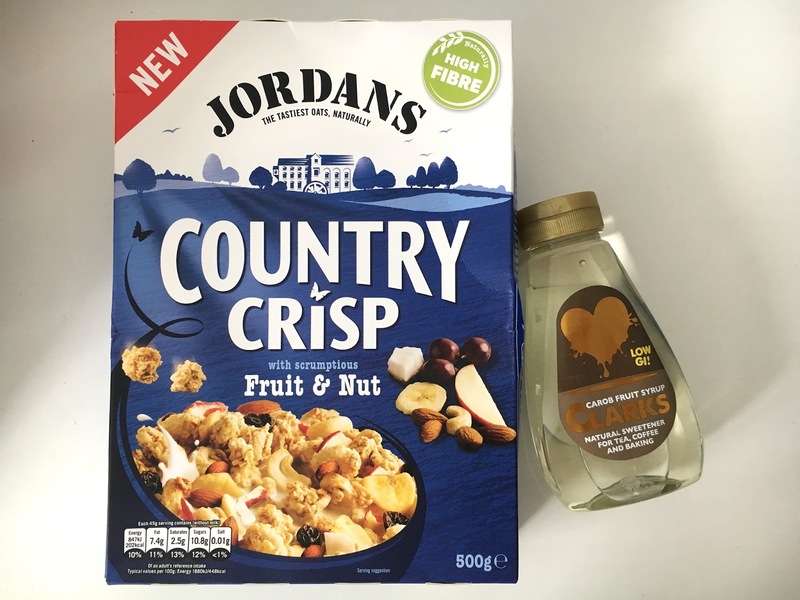 Jordans Country Crisp. I surprised myself with this one as I was convinced I've eaten this in the past and wasn't a fan. It was sooo good! The combination of crunchy golden oat clusters which were sinfully sugary, along with fruit and nuts made it quite a morning treat. I've already bought the strawberry pack of this after demolishing it in less than 2 weeks. Clarks Carob Syrup. It's not the first time I've come across these low GI syrups made from fruit sugars which are supposedly better for you, this one has 41% less sugar than refined white sugar! I'm happy to replace my usual honey/syrup with this over my porridge and bran flakes, and its runny texture is actually a lot better for mixing into things such as hot drinks. The flavour is mellow for a sugar, so it doesn't overpower anything it's added to. 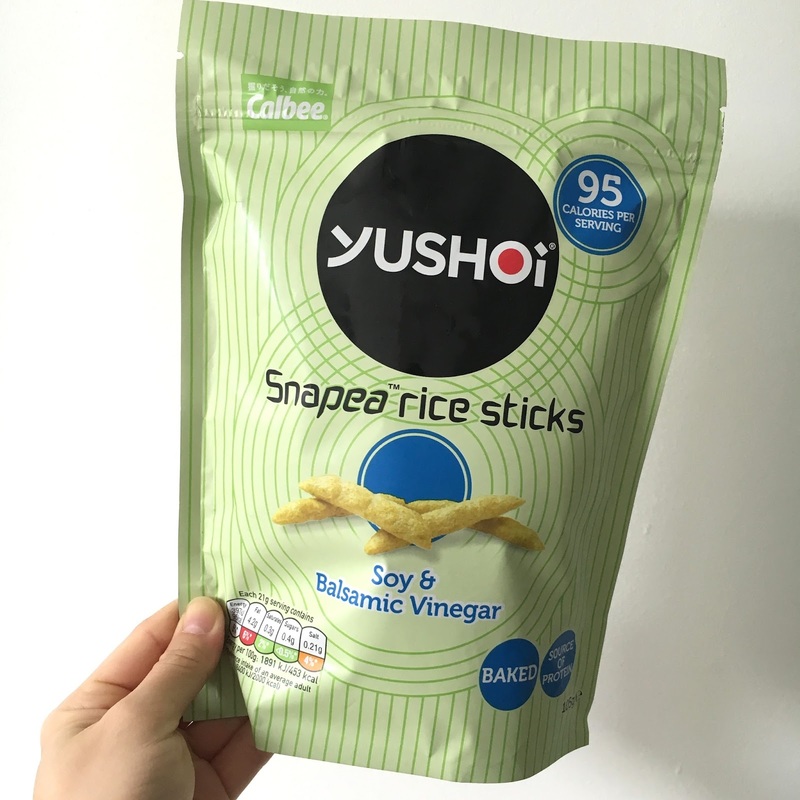 Yushoi Snapea Rice Sticks are a delicious alternative to crisps, we discovered these at the end of last year in our local Tesco's and loved them. I've always gone for the lightly salted ones as these are the ones they have all over Hong Kong and Japan which we always bring back from our travels, and Calbee is a much loved and trusted crisps brand in Asia. The soy and balsamic vinegar is strangely addictive and we can't get enough of it. They also included a voucher for another free bag, and I picked up the Szechuan peppercorn flavour which is also delicious! Coldpress Golden Delicious apple juice is divine. I can't say I've ever enjoyed an apple juice as much as this one. It's not overly sweet and tastes like real apples rather than artificial flavouring. It's cold pressed and not heat pasteurised so that it tastes fresher, retains more nutrients, vitamin C and antioxidants. Tsingtao Beer is the signature Chinese beer to have with Chinese food and it's a great light beer which I'm a fan of. 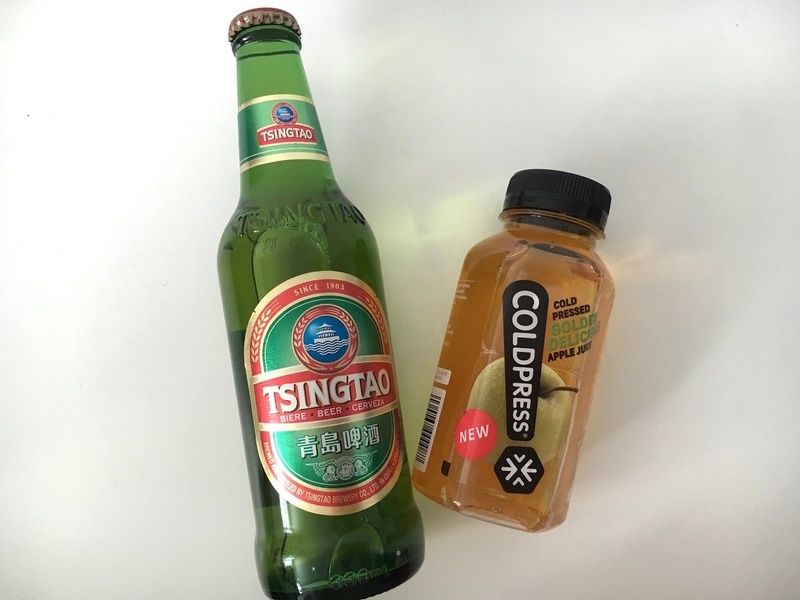 It's brewed using Laoshan mountain spring water which gives Tsingtao is delicate flavour. Amoy New Taste of Asia Range Sauces. 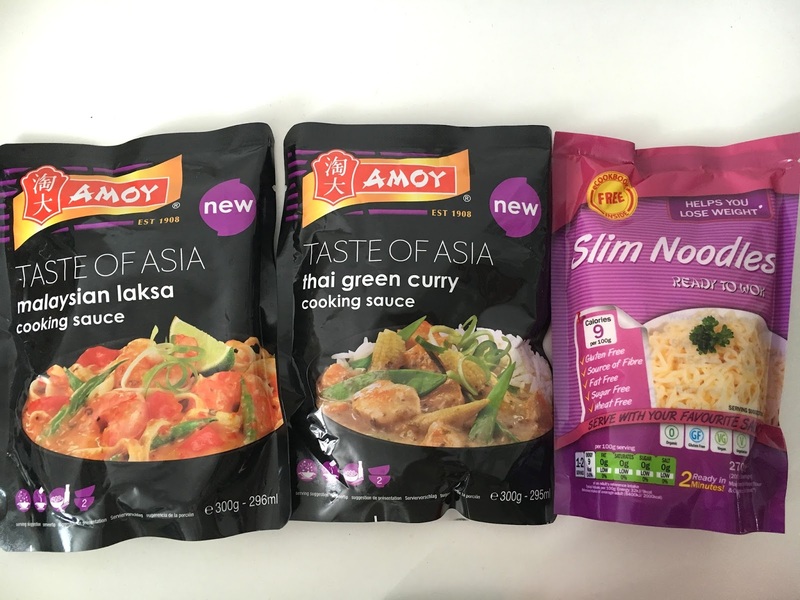 Both Malaysian laksa and Thai green curry sauces are favourites of mine, and Amoy is a brand that I like to use. I haven't got round to using these yet since G is not a fan of either and I need to be home alone one evening to test it out for myself. Slim Noodles are made from organic Konjac flour and oat fibre, and at zero carbs and 9 calories per 100g, these are super low fat and also gluten free. Again, I've not had the chance to try it yet, but I've had Konjac noodles before and they taste good once it's been well flavoured with sauces since there isn't much of a taste to them. 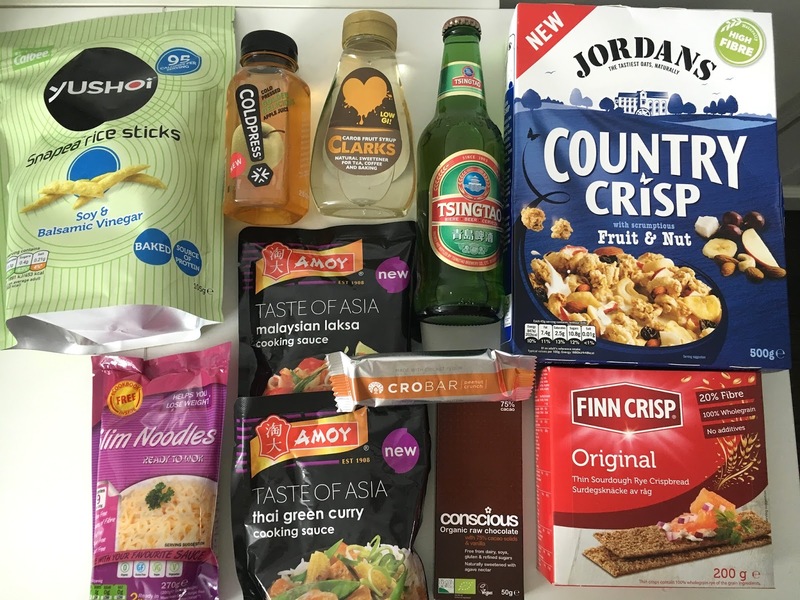 Finn Crisp Original. I'm a fan of Nordic crispbreads are they are super crunchy and nuttier tasting than your usual ones. It's made from wholegrain and baked with sourdough which gives it a slight tangy flavour. I've been having it with Jim Jam hazelnut spread topped with strawberries, yummy! Conscious Chocloate. It's raw, organic, vegan and hand made. I can't say I like dark chocolate or the raw cocoa types no matter how much goodness they have in them, but this bar was not bad. It was truffle like in texture and melted on the tongue, though a tad grainy. Not bad at all. Crobar is in this month's DB's discoveries. 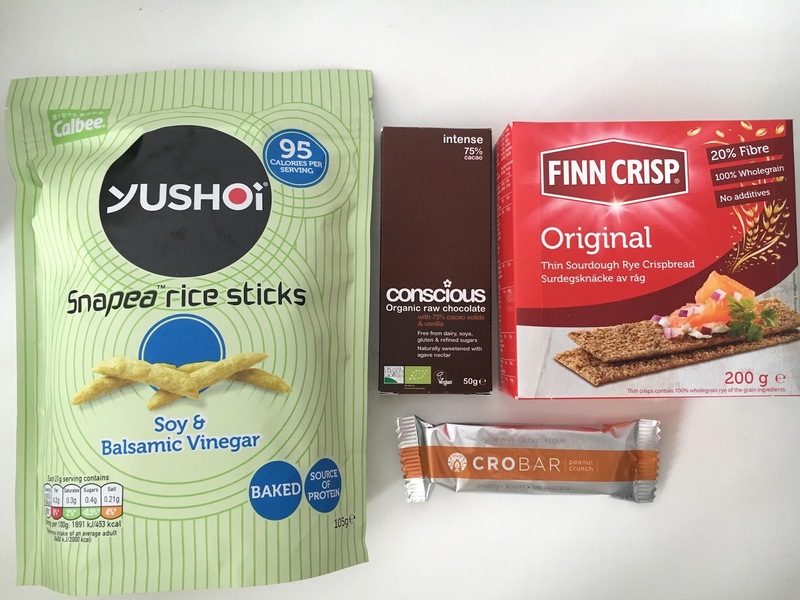 I took a bite before reading the packaging properly, and was pretty disgusted by the fact I'd just eaten a mouthful of dried cricket. The bar is made from cricket flour and whilst it didn't actually taste of bugs, the idea was a little off putting. Taste wise, it was quite tangy from the dates, and whether it had cricket flour in it or not, I didn't like the overall taste. At times like this, I'm glad I get to try it in a box like Degusta's because there's no way I would have bought this in the shops. Don't forget you guys can use the discount code BLDEG15 at checkout and only pay £6.99 instead of the usual £12.99! This is a nice little idea, I always love tasting something new, I've been seeing those rice sticks everywhere, I need them in my life! Thanks Jasmin! 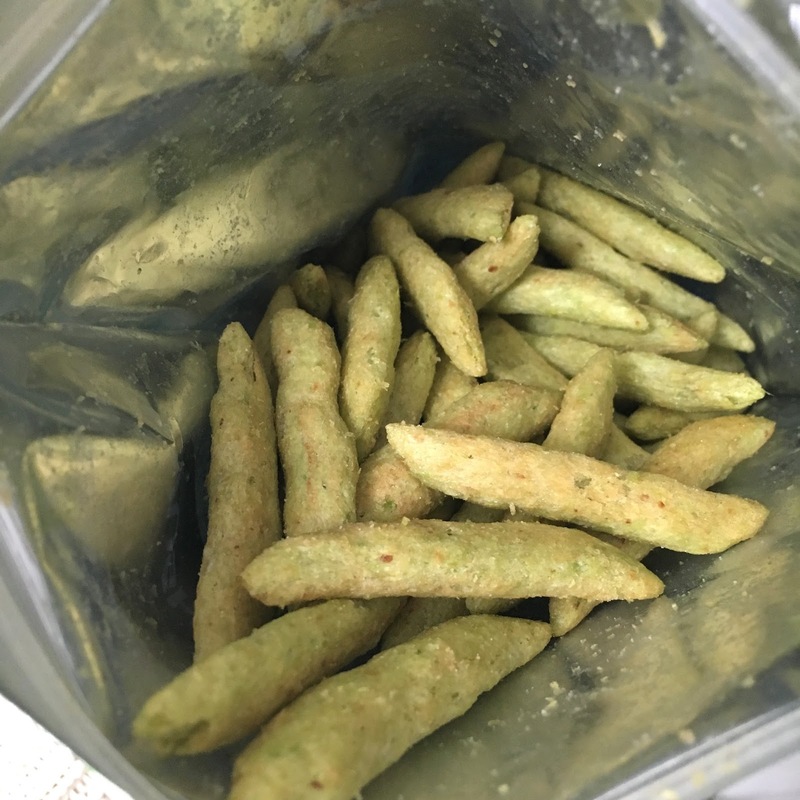 The pea rice sticks are so yummy and moreish. They are pretty filling too.